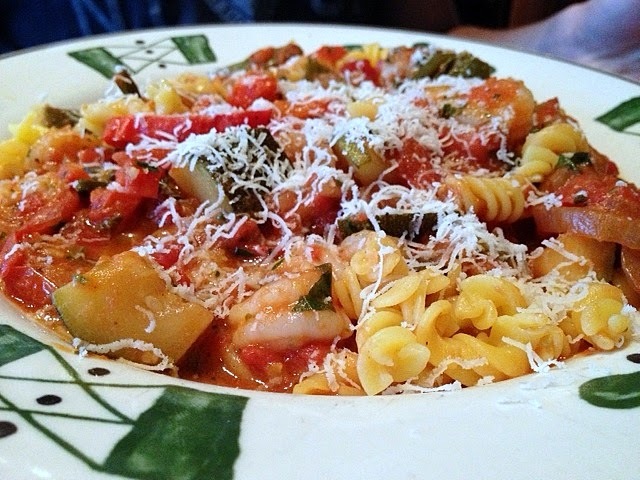 If you've been anywhere near a TV or radio the last few months, you couldn't avoid Olive Garden ads for its revamped menu and the surprising mention of gluten-free rotini pasta. Yet while we haven't avoided the Italian chain, we hadn't exactly sought it out - until last week. Ahead of our 13-year-old's East Coast teen tour departure, my wife and I took him to the Voorhees, New Jersey location to check out the new options. The gluten-free menu itself includes steak and salmon, but our son was up for trying the rotini. There's no confusing it with the traditional varieties, since the rotini only comes in a gluten-free version. Two of the from-scratch sauces - primavera and pomodoro - are gluten free. (The manager I checked with told me that the pasta is prepared in a clean pot with fresh water.) The starter salad, which is unlimited, is also safe without the addition of croutons. Cooking gluten-free pasta can be fickle, and this Italian-made corn-rice blend was slightly overcooked but still enjoyable thanks to the excellent primavera sauce and grilled chicken and shrimp add-ins. 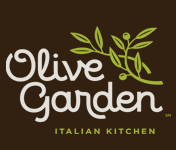 Olive Garden will never be mistaken for Italian home cooking, but given that locations are prevalent throughout the country and it's inexpensive, the chain is a reliable, affordable gluten-free option. I have been curious about the gluten-free menu at the Olive Garden ever since they sent me a giftcard. It's been 4 months and I still cannot bring myself to use it. I was too worried about cross contamination.